Becoming skilled with bait casters reel needs more practice and repetition than close faced or spinning reels. When spooling bait casters with new lines, it’s crucial to set up the new line properly for the reel to run smoothly. Keep track of the condition and state of the reel line and change it often. The effects of reeling fish, sun and heat will degrade your line’s strength. An improperly installed line may result in tangles and backlashes. Fishing tackle needs a bit of maintenance, especially if it’s frequently in use. 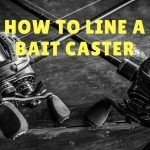 The good news is, we are going to teach you how to line a bait caster in this post. The method we’re showing you here is fast and easy. You’re sure to learn this in no time. So let’s say you and your buddy went to the fishing store and bought a pack of worms. And in your fishing trip, you’ve used only a few worms, and you have a lot left over. But you know that in a couple of weeks or months you’re going on another trip and use the worms again. So you don’t want to throw them away. Well, there are several ways to keep those creatures alive. 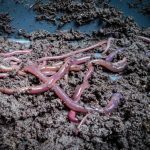 In this article, we’re going to have a quick and comprehensive discussion on how to keep night crawlers alive; even if you have, you want to keep it alive for months. It utilizes items that you can find every day inside your home. 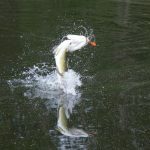 Can One Catch Bass Jumping out of Water? Does bass jump out of the water? This question is quite interesting and the thought is something that fish enthusiasts from different levels (both advanced and beginners) tend to ask. The question may not be a big deal to someone who doesn’t like fishing but anglers just how signification the answer to the question is. Knowing everything you can about bass will not only help you devise plans and strategies; it will also increase your chances of having a successful catch. Even something that seems trivial like whether bass can jump on water or not can spell the difference between catching one and going home disappointed. Thus, we will answer the question for you in this section to help you strategize on the best way to catch one. Catching Mullet is one of my passions. 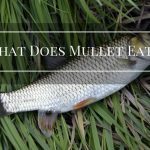 For many people, catching Mullet is a great activity because you can eat them, use them as bait but mostly because it's the thrill of catching the big one and then letting it go and live to fight some other day. Personally, I like catching the big ones so I could use them as the best Crab pot bait there is. Whatever your reason is, Mullet is amazing and they're awfully great fun for adult and kids. Nothing is as kai-oken!You can find Mullet both in Saltwater and Freshwater and there are numerous methods of catching them. 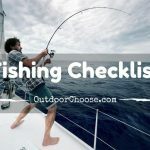 I will discuss how to catch them using a handline or Rod and Reel and also how to catch them with the use of a commercial trap as well as the kind of bait you need and how to use the bait.